WIRETAPS -GERMAN EMBASSY CONTRADICTS ITSELF – Alternate Comms. The man at the centre of Macedonia’s wiretap controversy which brought down the Nikola Gruevski government in 2016 may have been acting on behalf of German intelligence (BND) rather than as an “anti corruption” campaigner. 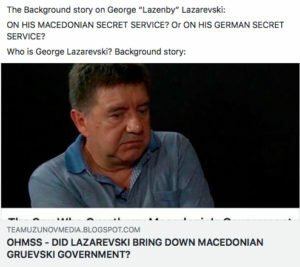 Western intelligence sources, inclucing an ex Macedonian intelligence officer have told TEAM UZUNOV blog that George “Lazenby” Lazarevski, the man hailed as a hero whistleblower intelligence officer had given unauthorised access to the surveillance system – including the bugged telephone conversations of Macedonia politicians namely the then Prime Minister Nikola Gruevski -to a diplomat at the German Embassy in Macedonia. According to our sources, the German diplomat is Ralf Brandlts, believed to be the BND resident under diplomatic cover. Lazarevski is also alleged to have given access to US and other foreign intelligence services. 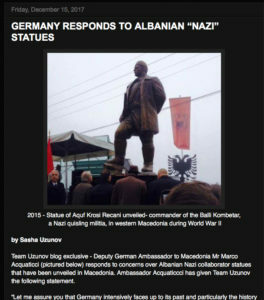 TEAM UZUNOV blog on 30 October 2018 went to the German Embassy to check out the claims – we were told to turn off the camera. Later an email response (see below). TEAM UZUNOV blog also contacted Mr Lazarevski but has not yet received a response. 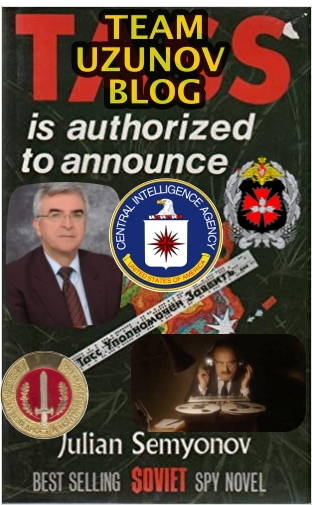 The controversial svengali like Zoran Verusevski is a man who knows many secrets – in fact he was a Russian intelligence (GRU – Russian Military Intelligence) asset who had been turned – recruited – by the CIA. He remains a prized catch. This is what our sources tell us. 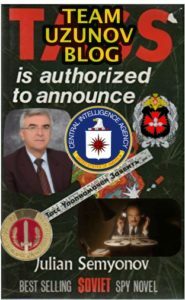 Verusevski was the Director of Macedonian Intelligence (UBK) for a short period in 1998 and in 2006 named as an advisor to the Macedonian Embassy in Rome, Italy. He has been close to the SDSM party, of which current Macedonian Prime Minister Zoran Zaev belongs. In 2015 Verusevski was arrested by the Gruevski VMRO-DPMNE government. Verusevski is central to the whole wiretapping scandal in Macedonia which erupted in 2015-16 and led to the Colour Revolution toppling Nikola Gruevski as Prime Minister. 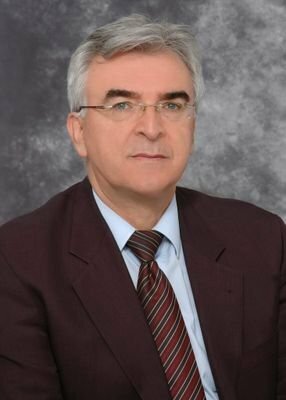 What has remained puzzling about the “wiretaps” is nothing has ever been released involving Albanian leader Ali Ahmeti, who had been in the coalition government with Nikola Gruevski for a decade (2006-2016). Absolutely no mention of corrupt behaviour on Ahmeti’s part. Yet this is incredulous. How is it possible for massive corruption to exist under Gruevski’s rule without Ahmeti’s involvement. Simply not possible. RUSSIAN INTERFERENCE? – Spiritual Security? 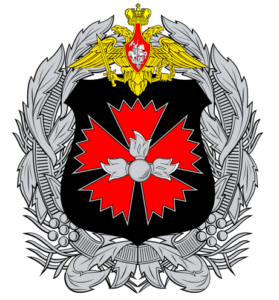 Our sources have told us that Russian Military intelligence (GRU) operates on Macedonian soil with a team of no more than 20 personal – small in comparison to the US and Western agencies – and about 70% of paid Russian informers are ethnic Albanians, including the female relative of a prominent Albanian politician. The wiretaps – under US orders – only target Macedonians and don’t include Albanian political bloc for 2 reasons – most obvious is to hide corruption link to Gruevski but more importantly the embarrassing admission that 70% of Russian intelligence informants are ethnic Albanians, the US’s “solid ally” in Macedonia. 5. Monitoring US intelligence operations in Macedonia. 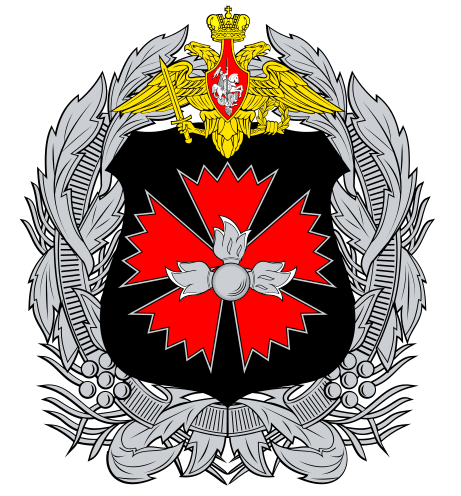 Russian intelligence operations in Macedonia are more to do with guarding Russia from Islamist terrorism (ISIS) linked to Chechnya than “interfering” in Macedonia, as hysterically has been claimed. A high percentage of ethnic Albanians from Macedonia and Kosovo are members of ISIS fighting in Iraq and Syria. This explains the large number of Albanian informants in Macedonia used by GRU – Russian military intelligence. Some of the favourite rendezvous points for GRU handlers and their Albanian informers include places or locations that are mainly frequented by ethnic Macedonians so as not to arouse suspicion within the Albanian community. 1. The Lesok Macedonian Orthodox Monastery near Tetovo. 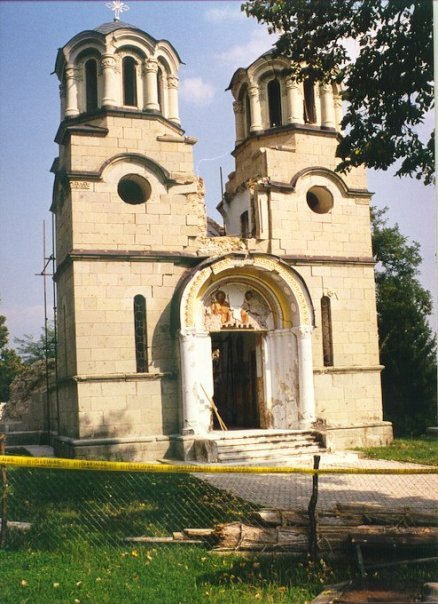 Ironically it was bombed by the Albanian KLA’s terrorist franchise in Macedonia the NLA during the 2001 war. Rebuilt with EU funding. The full email exchange with the German Embassy over wiretap claims. We do not comment on internal issues of the Embassy and also not on home affairs of Macedonia. My name is Sasha Uzunov, an Australian journalist based in Macedonia. 1. Did you have unauthorised access to Macedonian Intelligence intercepts (surveillance records, wiretaps)? 2. . Did Macedonian Intelligence officer George Lazarevski give you access to the surveillance system with a login pass? 3. Are you a German Intelligence officer (BND) under diplomatic cover ? 4. Germany has done nothing to persuade Albanian leaders in Macedonia to remove a controversial WW2 Albanian Nazi collaborator statue of Xhem Hasa. Why is that? I am available to come to the German Embassy for an interview.